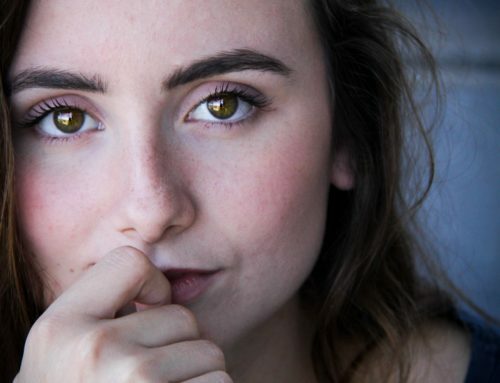 They say our eyes are the focal point of the face and when we interact with others eye contact is perhaps the most prominent way we express ourselves. Bright open eyes convey beauty, vigor, and youth. However, eyes that sag due to excess skin and are puffy due to excess fat convey a tired appearance even though you may feel energetic and rested. Eye-lid surgery also known as blepharoplasty can help patients treat excess drooping skin, or eyes that look tired due to puffiness or bags. Although the decision to undertake eye-lid surgery can be extremely personal, the results often exceed patient expectations in terms of appearance and, perhaps even more importantly, function. Photographs are usually taken before and after surgery to plan the procedure and record your results. While examining blepharoplasty before and after photos, look for pictures of patients whose “before” photo resembles your current expectation and see if the “after” photo matches your idea of a positive eye-surgical outcome. When you and your surgeon have the same expectations before eye-lid surgery it makes the process less nerve-racking, and helps the surgeon know exactly what you are wanting out of the procedure. Thousands of successful eye-lid surgeries are performed each year. While the procedures are generally safe when performed by a qualified and experienced Blepharoplasty cosmetic surgeon, complications may arise. However, in almost all types of eye surgeries, the possible complications are infrequent and can generally be treated. Prior to getting eye-lid surgery done, a consultation with an eye-lid surgeon is essential to discuss your options. These consultations generally take 30-45 minutes. After your consultation, you will be provided with a cost estimate of your surgery including surgical, anaesthetic and hospital fees. Perhaps no form of surgery is more popular and safe than eye lid surgery, thanks to a major change in the kind of techniques that are now employed. But, there are myths and misconceptions that a patient must be fully aware of before making an informed decision. Taking time to think over the procedure, working with your eye-lid surgeon and researching is imperative to separate facts from the myths. Who knows, when you will look at yourself in the mirror after blepharoplasty, you may see a beautiful you.